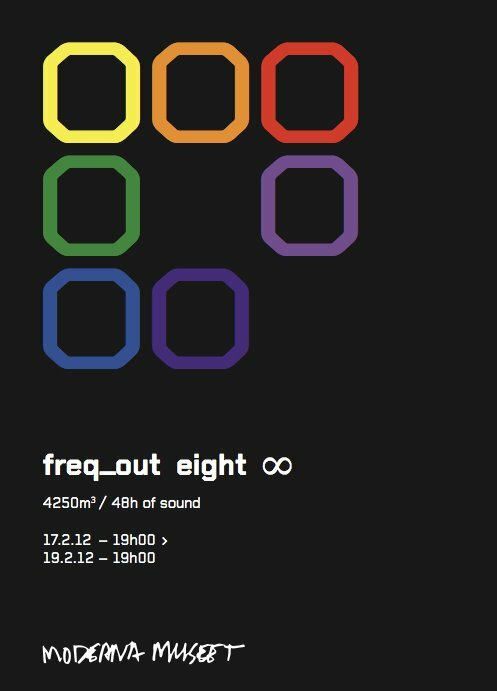 For the latest installation of the sound installation freq_out , Moderna Museet in Stockholm is going to be open from 7 pm February 17 through 7 pm February 19. 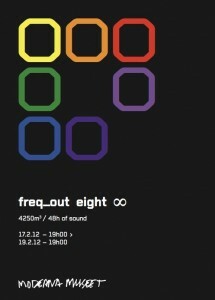 For forty-eight hours non-stop, seven of the museum´s galleries will be occupied by the sound installation freq_out 8. The result will be a combination of sound and light that will “drench” the galleries in all the colors of the rainbow. The participating artists will include JG Thirlwell, Jacob Kirkegaard, Mike Harding, Jana Winderen, Finnbogi Pétursson, Kent Tankred, Franz Pomassl, Maia Urstad, Brandon Labelle, Christine Ödland, Permagnus Lindborg, Petteri Nisunen and Tommi Grönlund.